It seems that more and more restaurants are closing or moving because of rent hikes or other issues with space, and this has been a global phenomenon - affecting even places like wd~50 and Union Square Cafe in New York. The latest victim struck a little closer to home, and came in the form of the flagship restaurant of the Press Room Group. In 2006 a couple of the MNSC boys got together with their buddy and opened up the Press Room and Classified. It was refreshing to see guys who loved and knew their food trying to bring authentic French brasserie experience to Hong Kong. It was also in an offbeat location - taking many of us out of our comfort zones. But we showed up in droves, and nowadays the Press Room Group is a formidable player on the Hong Kong FnB scene. Last week I was very surprised to receive an email from Pineapple, informing us of the impending closure of the Press Room and inviting us to join the "farewell" dinner. Unfortunately I had already made plans to join another gathering, and was too happy and inebriated to drop by afterwards... so I missed the group farewell. Well, today is the last day that the Press Room is open at its original location, so when I realized I had an opening in my schedule, I trekked over on foot in the blistering heat to have lunch here, one last time. 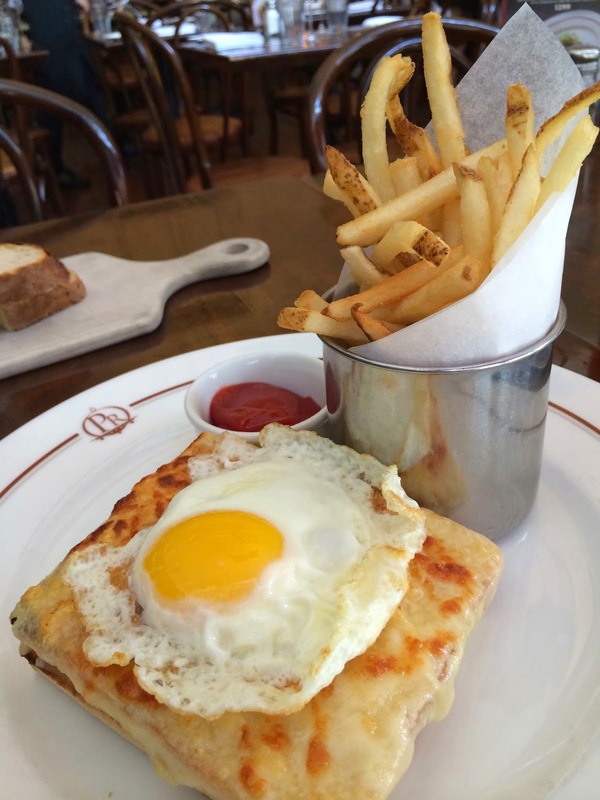 One last croque madame. Quintessentially French. The sunny side up egg on top makes all the difference. And while I was supposed to be cutting back on food consumption after a 3-day eating spree, I ate every single one of the frites.